Additional Info: Washing machine, TV's/DVD in each bedroom, cot lay-back pushchair, highchair,clothes airer, iron and board. Park passes can be included if a 20.00GBP donation is given to Ruddis Retreat prior to staying at the caravan. 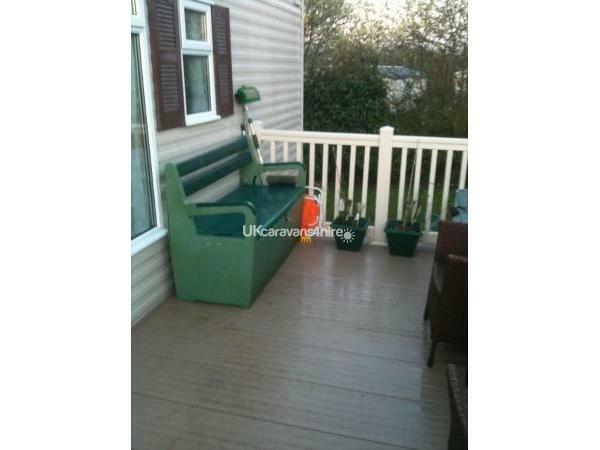 This is a beautifully presented caravan with all home comforts. The master bedroom has a double wardrobe and dressing table for storage and an en-suite bathroom with shower wc and hand wash basin. The other two bedrooms have two single beds in each room with wardrobes and storage drawers. There is a second bathroom with shower WC and hand wash basin. The lounge has a seating area with a 42" TV and DVD. 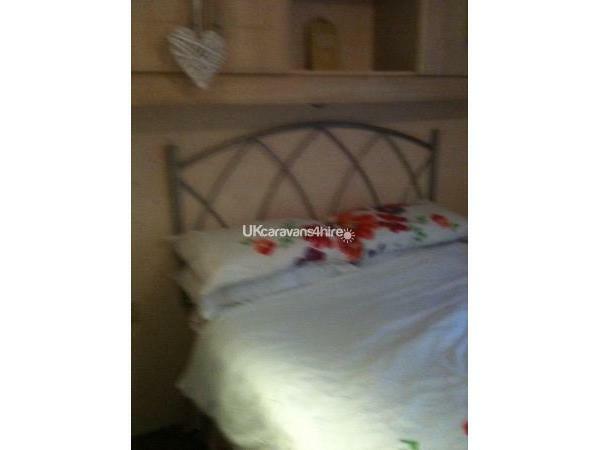 The second double bed is located in the lounge which takes a few seconds to set up. 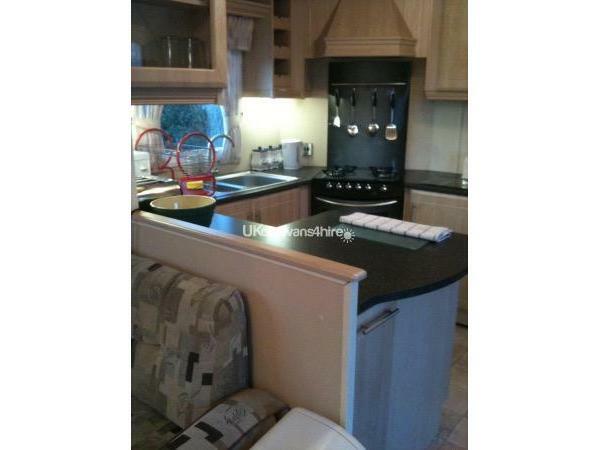 The kitchen is fully fitted with full gas cooker separate integrated fridge and freezer microwave slow cooker toaster and kettle and many more extras. The outside decked area has seated areas and has a gate at the top of the steps. There is a barbecue area behind the decked area with a large garden set with umbrella. There is dedicated parking to the side of the caravan.